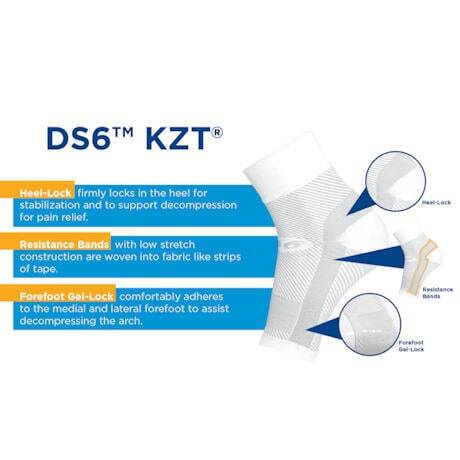 The DS6™ Decompression Sleeve combines three types of therapy to tackle plantar fasciitis, heel/arch pain and swelling. 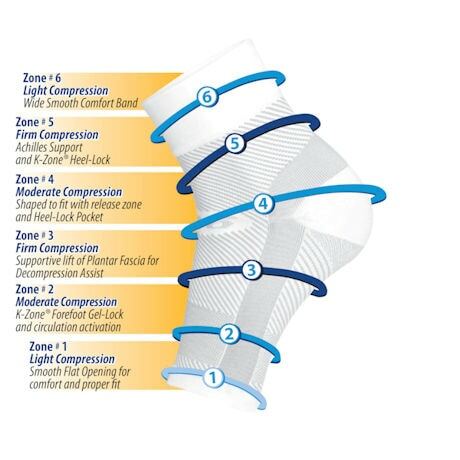 Heel lock stabilizes the heel of the foot to promote decompression and help alleviate pain. 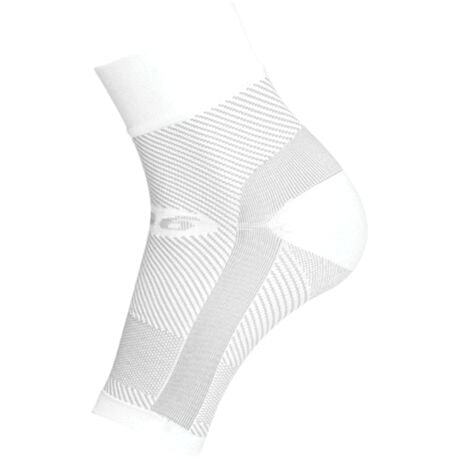 While non-stretch resistance bands with forefoot gel lock woven into the sleeve decompress your arch. 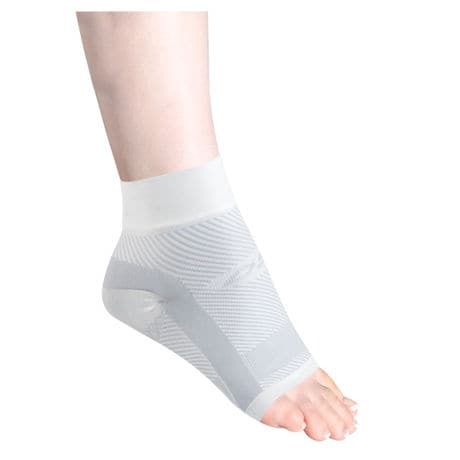 Graduated compression supports your Achilles tendon and helps reduce swelling. 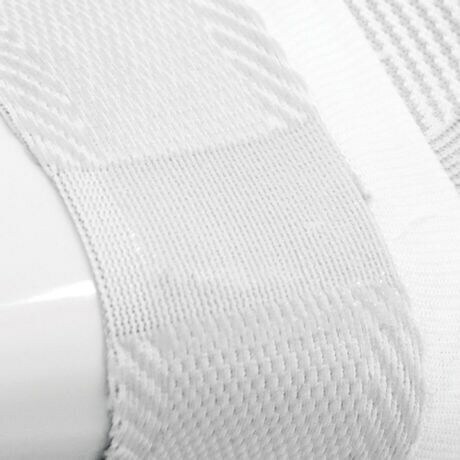 Intended for resting therapy only. White. Sizes: MD or LG. By shoe size: M (Women's 7-10½, Men's 6-9½), L (Women's 11+, men's 10-13).